Hey everyone, it’s been a while! Working life has been hectic, and now that we’ve settled well into our full-time jobs, we’ll start writing more regularly like before. Thank you to everyone who have supported us in this journey. Now let’s continue with our Thailand series! 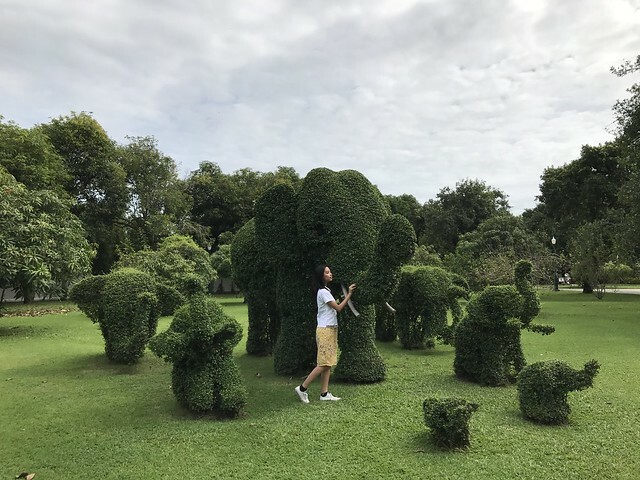 We’ve talked extensively about Bangkok and the different things to expect there, so let’s expand to other cities we visited. 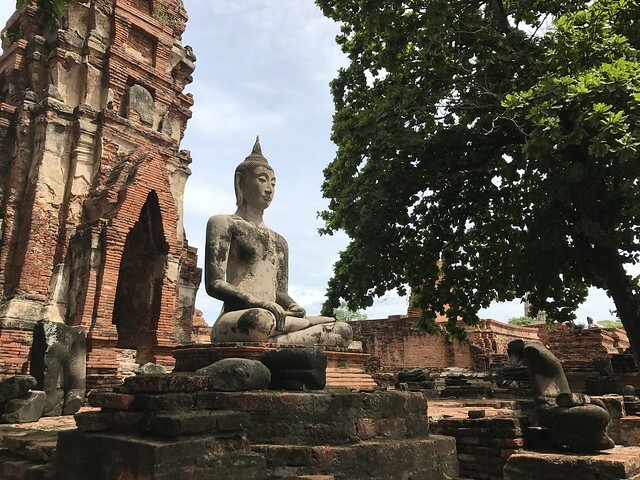 We took a day trip to Ayutthaya, a city north of Bangkok. 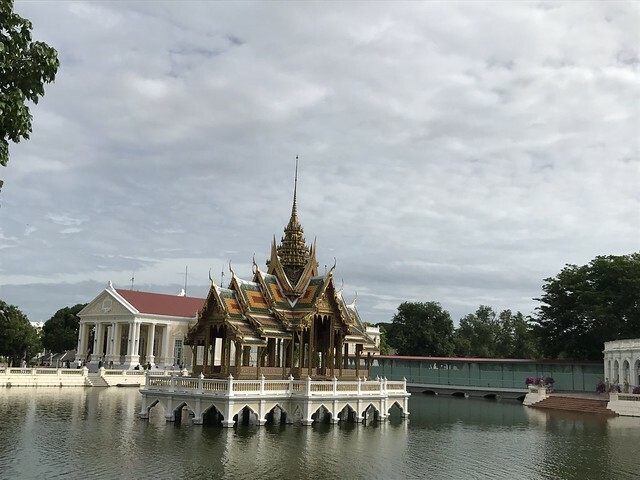 On the way there, we stopped by the Bang Pa-In summer palace, a palace formerly used by Thai royalty. The sprawling gardens, dotted in parts by beautiful buildings and fountains, took a while to explore. We ended up driving a golf cart to see everything. After visiting the palace, we went to Ayutthaya Historical Park, in which the ruins of the old city lies. The Burmese captured the city in the 1500s, and as an act of dominance beheaded the Buddha statues lining the temples. Walking between the ruins, listening to the wind softly blowing against the trees, we could only imagine what this place looked like in its glory days. We spent a couple hours exploring the city, trying out street foods and walking by the rice fields. It was a very different scene from Bangkok. While Bangkok was chaotic and energetic, Ayutthaya was calmer, more serene. 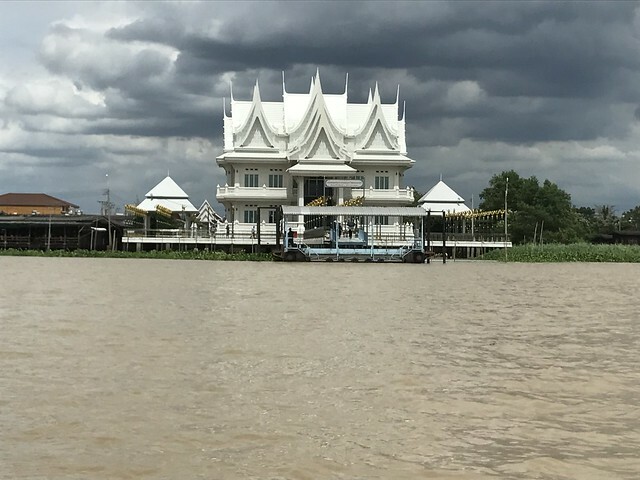 When it was time for us to leave, we hopped on a boat that cruised along the Chao Phraya River. The views were great- we saw temples and riverside towns and people waving from other boats. Finally we docked in the heart of Bangkok and once again welcomed the crowds and the noise of the city. This entry was posted in Destinations, People and Culture and tagged ayutthaya, photography, thailand, travel. Bookmark the permalink. 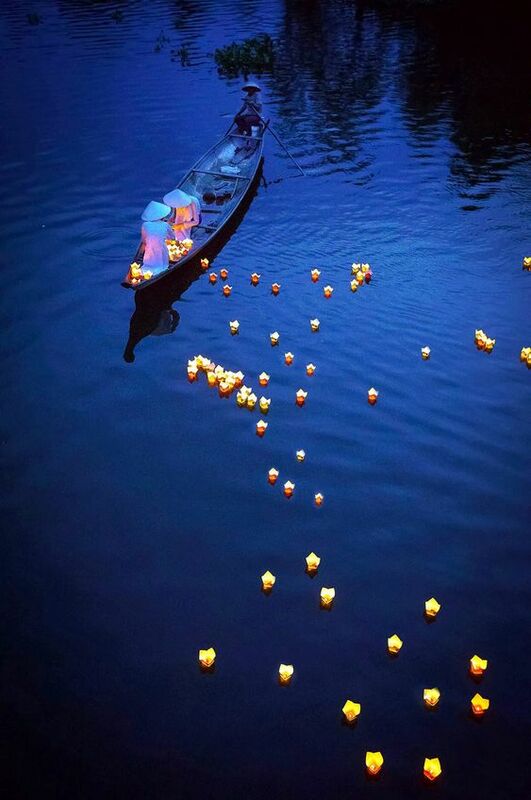 I’d love to go to Ayutthaya. 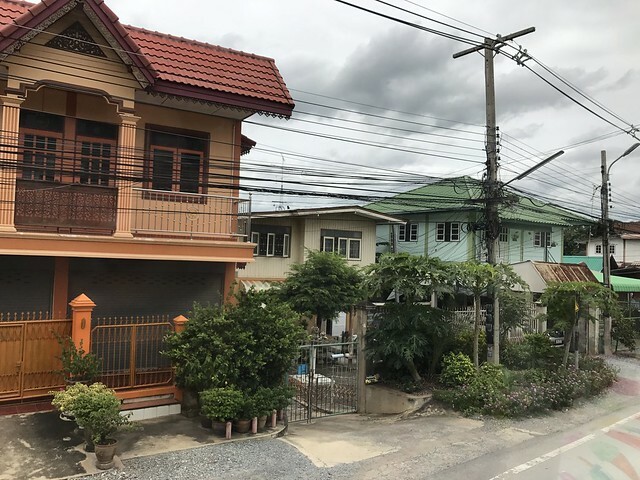 How far is it from Bangkok? It’s not very far – just a couple hours drive away. 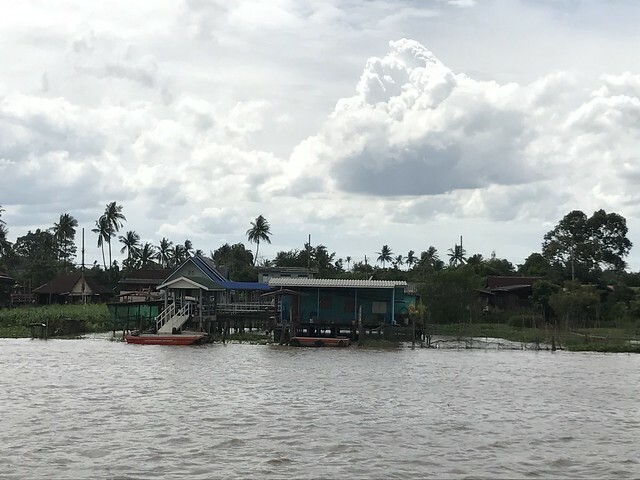 One of our Thai friends recommended the trip, and it was one of the highlights! Kind of wished we stayed over there for a couple days though…it was something else! 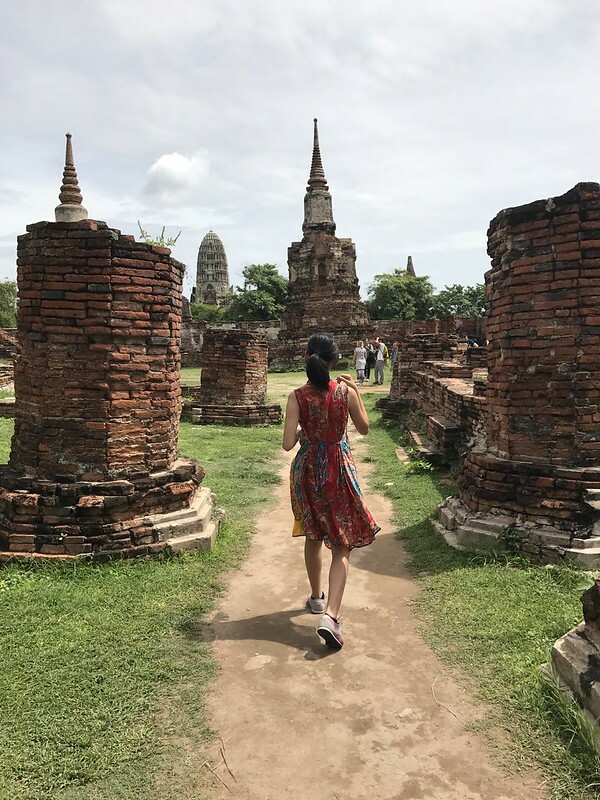 I was really surprised by Ayutthaya – loved it there!